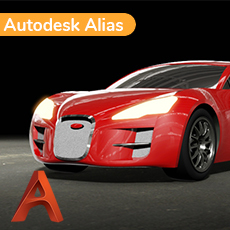 During this course you will learn to use all the tools that a professional would use to model a car in Alias. In this course you will be building AUDI A5 Sportsback Model. You will learn how to build an exterior with: A-Class Bezier surfaces, perfect highlights, good CV distribution and with correct patch layout. 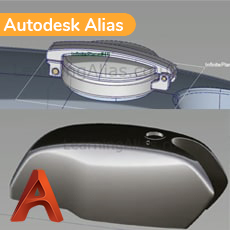 Alias will change your life forever!!! 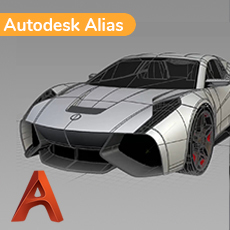 Alias is the top software used in Transportation design studios. It currently costs $2,300 per month to rent for commercial use. That is because it gives the best quality surfaces. If you do this course, as an enrolled student, you will get the software free for three years. This is an A-Class Alias modelling course. You will learn to model a very difficult and also very beautiful and elegant car, designed by my friend Satoshi Wada. He designed 5 Audis during his 12 years at Audi Ag, Ingolstadt. You will start by modelling the roof srf and all the center srfs in front of the roof: Windscreen, transition, hood, grill panel. These are all apexless srfs, which means that they extend to both sides of the car. All the srf you will build will be Bezier Surfaces, which means that the are single span parameterization and do not exceed deg 7 . These srfs are the same as are used by top modellers such as myself in Industry. You will build the car from blueprints and you will have a full .STI mesh as hard data to help you with the most complex areas. 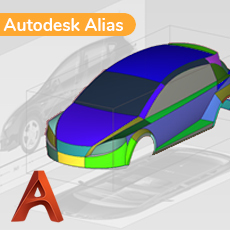 If you want to make a really good job of building this car , I advise that you first do my Reverse Engineering course “Interview Mesh.” This will enable you to build more accurate srfs However if budget is an issue, it is possible to build this car without having done the “Interview Mesh.”module. 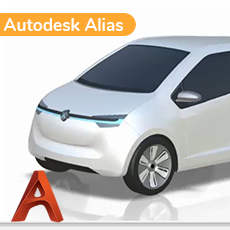 Your vehicle will be ready to put in your portfolio and with this A-Class model to show at Interview, you will make yourself very employable, as you will be demonstrating that you have learnt a high level of Alias compared to your peers. A difficult model professionally built. This will give you the edge at an interview.